The day after Thanksgiving is known in retail circles as Black Friday, the biggest retail day of the year. Those who know me know I’d rather play music than just about anything. Those who really know me know I’d rather go to the dentist than go shopping! So what could be a better way to spend Black Friday than going to one of my favorite venues and playing music with one of my favorite people! Brian Keith Wallen and I will be together for a concert at The Cat and the Fiddle Event Center in Metamora, Indiana, on Friday evening, November 24, at 7:00. 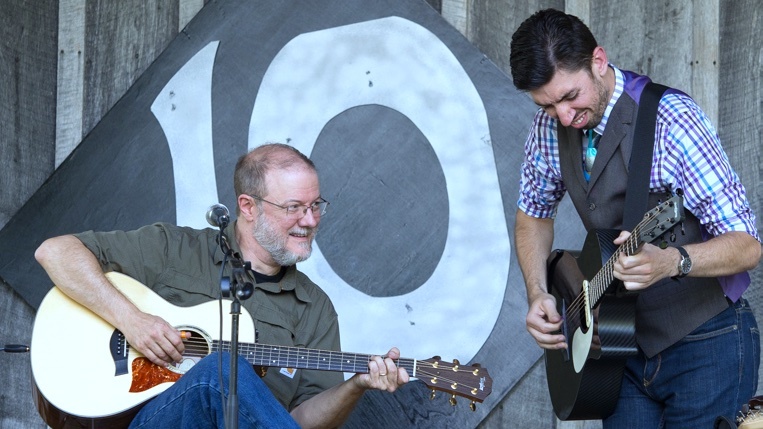 In 2013, Brian and I teamed up with Patchwork for a Black Friday evening of music at The Cat and the Fiddle. Since then Catrina Campbell, proprietor of the Cat and the Fiddle, has kept the tradition alive. I’m delighted to be part of this year’s show. This typically sells out, so call 513-403-0672 for reservations.